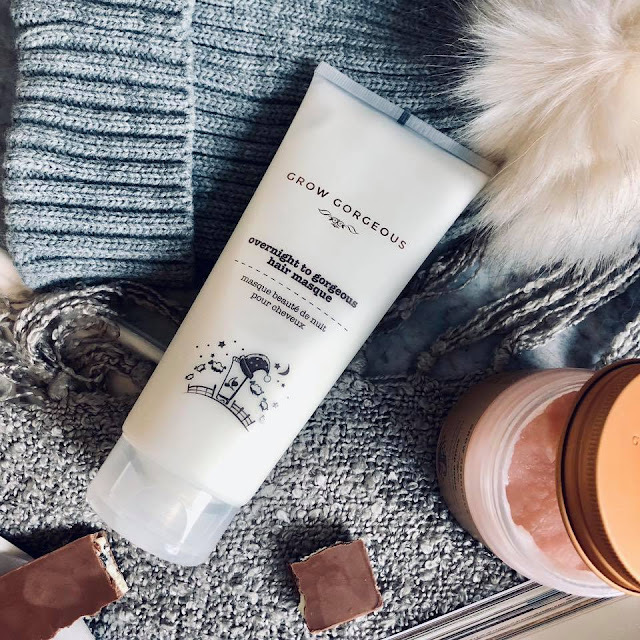 Fabulous hair care with Grow Gorgeous. Being a mom is hard work, you don't tend to get very much self care time. I pretty much restrict myself to beauty items that are quick and effective to use because I never have more than five minutes to get ready in a day. Pregnancy left my hair brittle, uneven and damaged beyond belief. It was in such a state. I was kindly gifted some products by the team over at Grow Gorgeous after having Rupert. 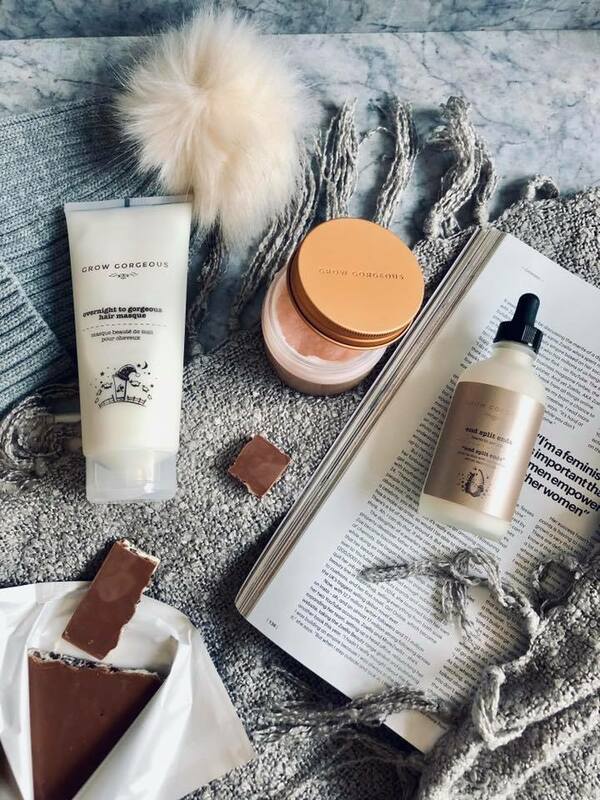 Their shampoos and conditioners instantly became firm favourites of mine, transforming my hair from broken and damaged (caused by pregnancy) to silky and volumised. 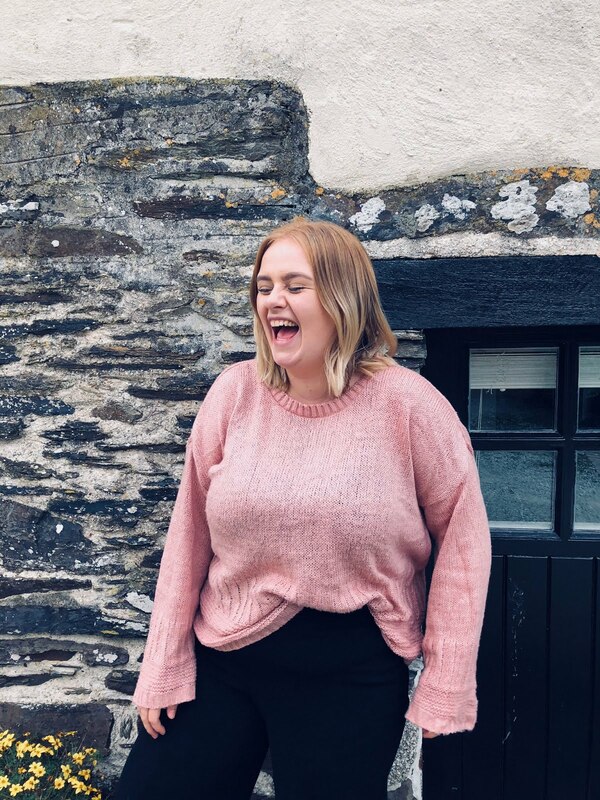 You can imagine my delight when a few weeks ago I was sent even more of their products, this time they happened to gift me some items I had being eyeing up on their site. It's like they knew. 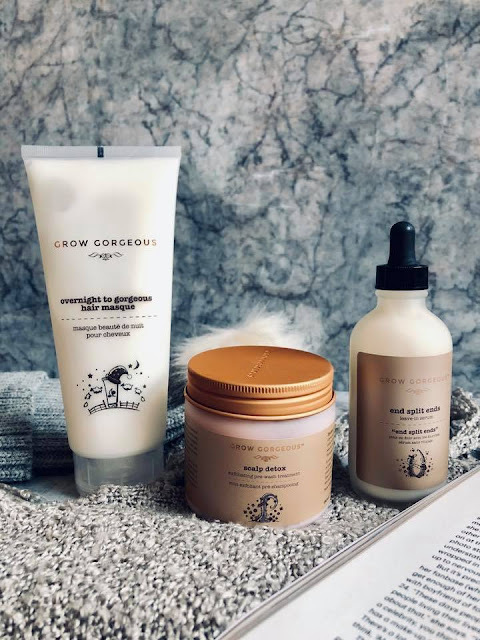 So for those who don't know, Grow Gorgeous is a luxury hair care brand that have recently being stocked in UK Boots stores. I hadn't even heard of them before being gifted the items, now everyone I know is well informed on the brand. If you've done your research you may think, shampoo? for that price? but it is seriously worth it. 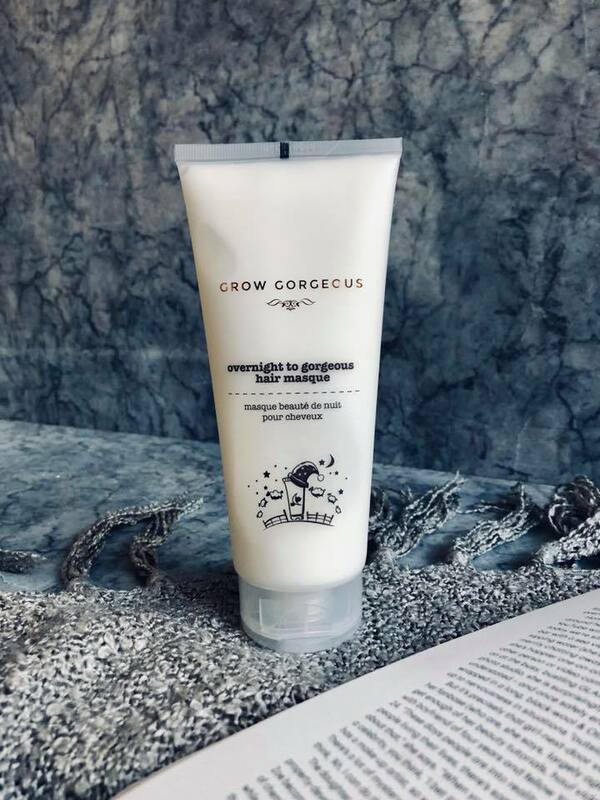 I don't use the product every wash as it treats and repairs the hair, leaving it feel incredible, the effects lasts through multiple washes. So you can see why I was so eager to try more of their products. 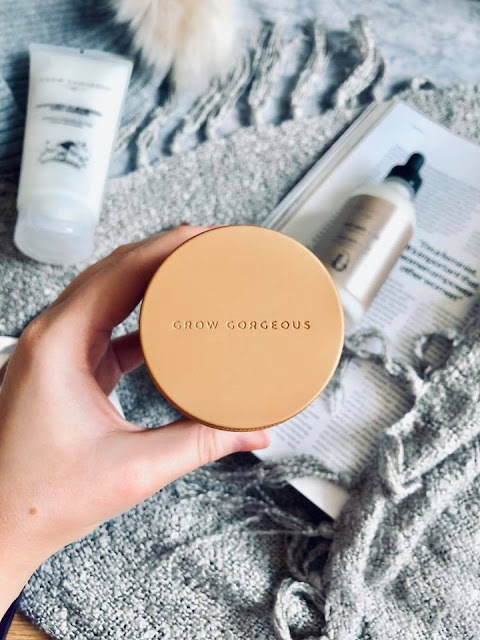 My favourite item from the Grow Gorgeous collection has to be the Scalp Detox for Exfoliating pre-wash treatment (190ml). My skin has been pretty dry since being pregnant, including my scalp. My hair had been pulled out, broke and lots of new hair had grown during the 40 weeks of pregnancy. I found that this gave me bad dandruff in certain areas of my scalp. There isn't much you can do about dandruff, except wear a hat all day. The scalp detox is pretty incredible stuff. Using before your usual shampoo and condition, it allows you to have a good scrub of your scalp and clean your hair in more ways than one. 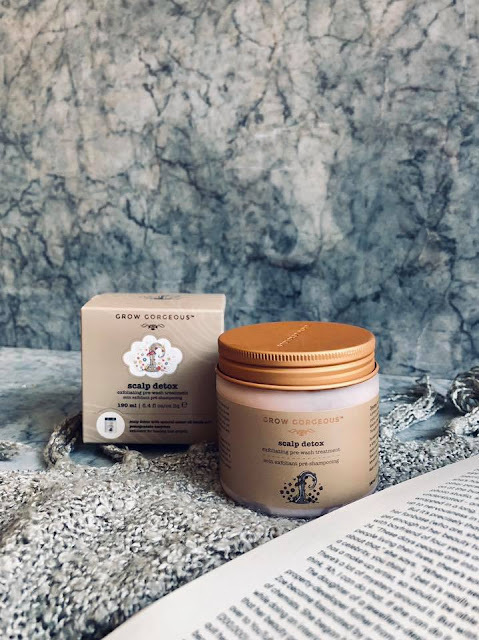 It gives a new life to your roots ad makes your hair feel brand new. 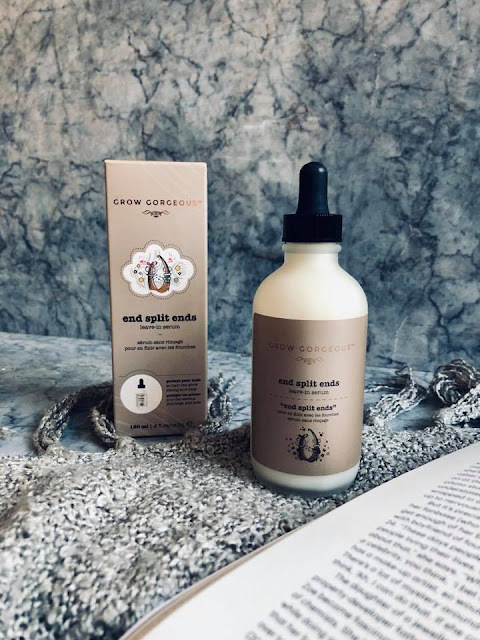 The 'End Split Ends leave in serum'(120ml) is great for the colder months, when you feel your hair is dry and brittle, especially at its ends. 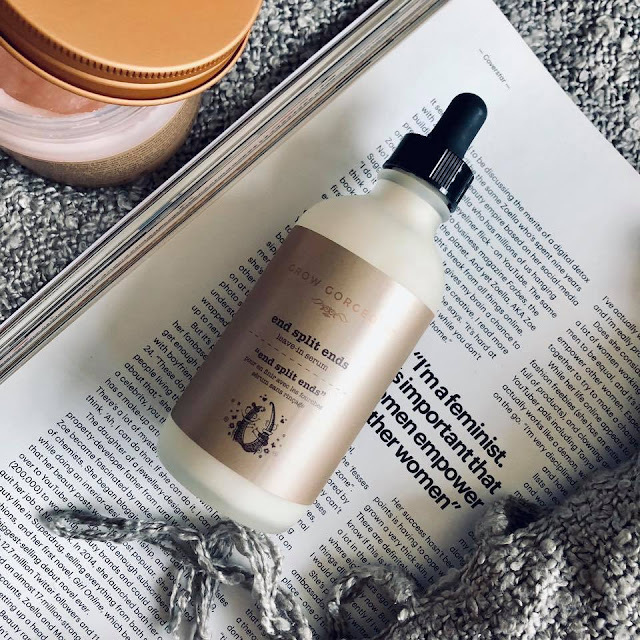 I love using this serum maybe once or twice a month if I feel my hair needs a little extra TLC. A little goes a very long way with this product. I use the tiniest bit of product, applying it to the very ends of my hair during my usual wash routine. It works well with other branded products too, so you don't have to use it with other Grow Gorgeous products. Now onto what is possibly the best leave in product I have ever used. The 'Overnight to Gorgeous hair masque' is pretty damn incredible. For beautifully smooth, shiny and luscious hair: you really need to get your hands on this. Great for those pamper evenings. I love using this when I have my overnight tan on, in the morning I get to wash the product out my hair and my tan off, leaving me feeling like a new woman. Using this product once a month. It isn't a thick product and absorbs without creating a greasy feeling to your hair. You can sleep easy with it on and seriously gives you a 'fresh out of the salon' feeling. You'll be flicking your hair all day long. All these products were gifted. Please visit my disclaimer for more information. Play Room Renovation and Our Favourite Toys. A luxury dining experience: An evening at The Victoria Barnt Green. Super Baby and Toddler Savings with Aldi. My relationship with my post baby body. © Leah Higgins | All rights reserved.